Education – the key to transformation « Operation Hope Inc.
We all know education is important right? It is a children’s right. 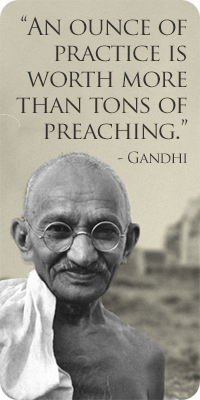 It is an integral part of a growing society. Yes? Yes. I’m sure we can all agree this is not everyone’s experience is it? Unfortunately many children across the globe do not have access to education. At Operation Hope we have seen first hand the effects of poverty and how the lack of access to basic needs has impacted on a child’s education. We have seen girls stay home from school for a week each month because they can’t afford to buy sanitary pads. Some drop out and start families as young as 13 or 14 years old. We have seen teachers chase children from school because they lack the ‘proper’ school uniform (which the families can’t afford to buy). We have seen countless children fail school because although they attend classes they do not have electricity or candles to study at night (or parents to help them understand the content). We have seen school classes with over 100 children in them making teaching and learning near impossible. We have seen children have to stay home to care for a neighbour’s cows or goats because the family needs to earn any small income. 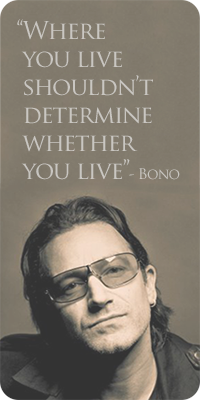 I could go on… it can be overwhelming… almost debilitating. However we have also seen how small things can make a big difference. Our Sister Act program for example is keeping hundreds of girls in school. The school buildings and pit latrines we built last year have reduced class sizes. Most recently many of our supporters purchased Christmas Gift Tags for school uniforms and supplies. 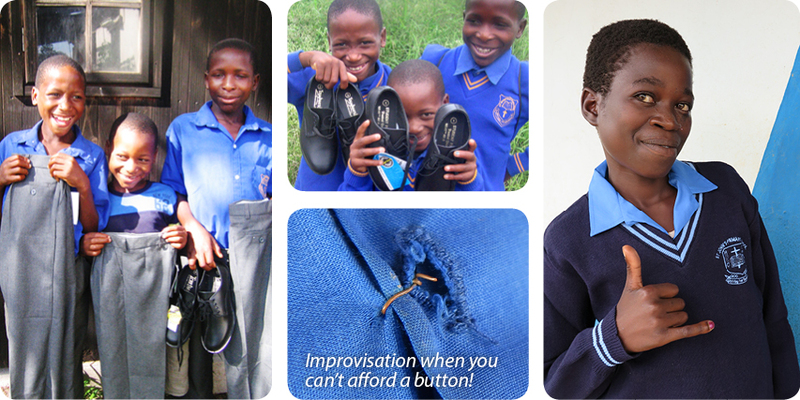 Through these donations we were able to buy school uniforms for eleven at risk children in Swaziland. These children now attend school, some of them in schools that are closer to home, which means less travelling time and more time to study. 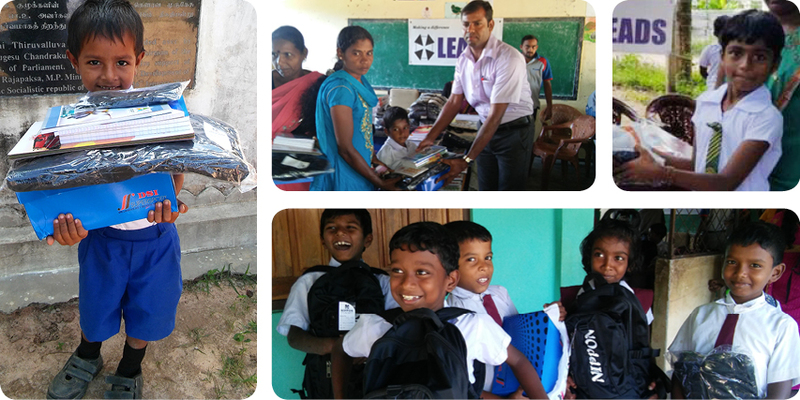 In addition through our Sri Lanka partner LEADS, we were able to provide school stationary, bags, shoes and socks for 150 children from Thiruvalluvar and Annai Saratha schools in Kilinochichi as part of the first phase in the ‘Access to Basic Education’ project. These children were from poor and vulnerable families who traveled large distances and were from female headed households. Lenses, test tubes, magnets, wall posters and other materials were also distributed based on a request made by the school principals. School stationary, uniforms, sanitary hygiene, smaller class sizes all work together to help a child stay in school, learn and receive an education. Our donations helped to change the lives of over 160 children this school year. Thank you!